With a full-on old-school keyboard! I bet the fellow passengers were pleased when started typing (hammering) away on that too! Why would one leave these things? Just leave the cucumbers but how can leave coupons! By the way, someone must have got the food packet home! How can be someone so bored or free? But a good artistry work on the bus! Well done! It’s stylish, isn’t it? Every bus should have some stylish to stare for the whole journey! That’s what happens when you have AirDrop set for “Everyone”. Wait…what? You need Bluetooth and Wi-Fi for AirDrop. The tube has Wi-Fi? It’s actually to look over the kids when they’re reading for the first time! And reading it publicly warms your heart! I hope you get some full proof idea and have a proper security check and recheck it 100 times! We want to see you in chopper now train! It’s the dream bus for most of them! It would be great if the bus would be stopped exactly outside the Mcd. Your first would be in Mcd. When you don’t have the sleep-cover but you want to listen to music too. Well, Good idea! The Chinese man looks annoyed. 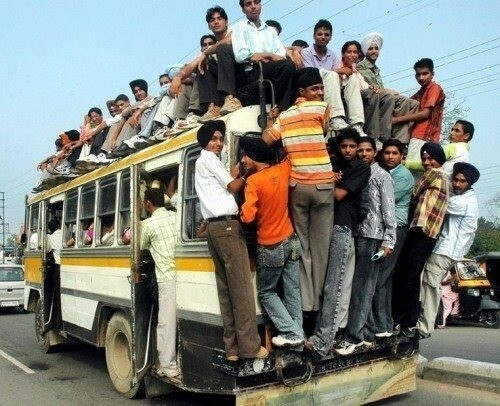 How much is the capacity of the bus? That’s pretty much insane. It looks like all commuters have missed their train and traveling on the Universal Bus! 10 People Who Prove Being Mean Is An Art!